One of America’s most respected judges recently wrote an insightful and unsettling essay about the many problems with plea bargains, and we spoke to him about why judges almost always sign off on these agreements. In his essay in The New York Review of Books, Manhattan federal judge Jed Rakoff explains why it’s problematic that 97% of federal criminal defendants agree to plead guilty if their cases aren’t dismissed. With so many people pleading guilty, some innocent defendants invariably sign onto plea bargains just to avoid the prospect of lengthy prison sentences. These are often poor defendants who aren’t optimistic about winning at trial and face intense pressure from prosecutors to enter a plea. Despite this problem, judges very rarely reject plea bargains. That’s because “they don’t really have any familiarity with the underlying facts,” Rakoff told me over the phone recently. Even a “conscientious judge” wouldn’t have enough information to drill both sides about the plea agreement, he said. Here’s what happens when defendants plead guilty, according to Rakoff: the accused reads a statement with the “bare bones of what he has decided to admit to,” while prosecutor reads a statement indicating what they’re prepared to prove. The judge will advise the defendant of the rights he’s giving up — such as the right to a trial. This scenario wouldn’t make it very easy for a judge to spot a false confession. In his essay, Rakoff shed some light on just how many of these plea agreements might involve false confessions. First, he pointed out that of the roughly 300 people cleared of their crimes by the Innocence Project, about 10% had originally pleaded guilty. 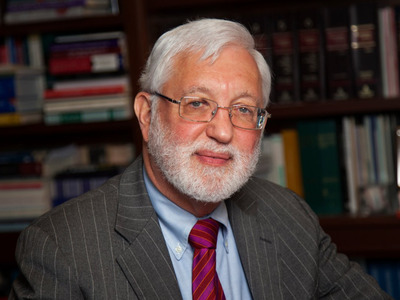 Criminologists have estimated that between 2% and 8% of felons who pleaded guilty were actually innocent, Rakoff wrote in his essay. Even assuming that number was 1%, Rakoff points out, that’s still a lot of innocent people behind bars.